7:30 — Picked up on the elephant bus! 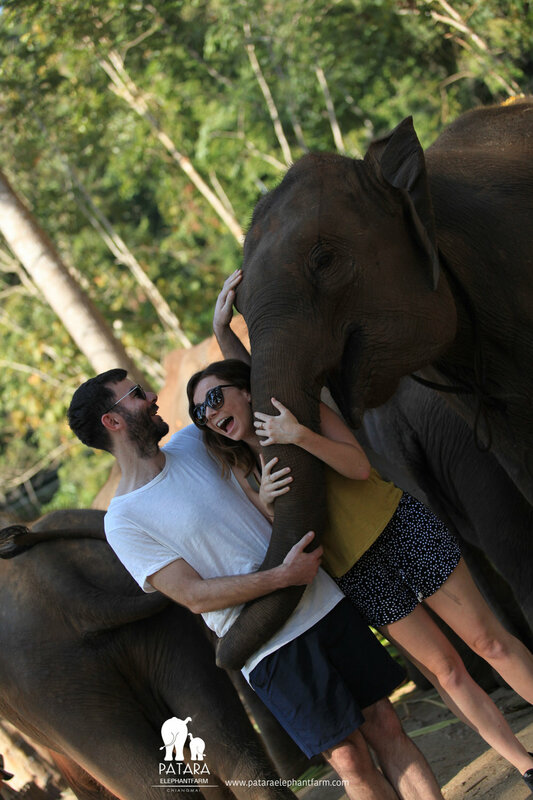 Claire: Elephants have long been my favourite animal (along with bunnies of course!) so today was incredible. 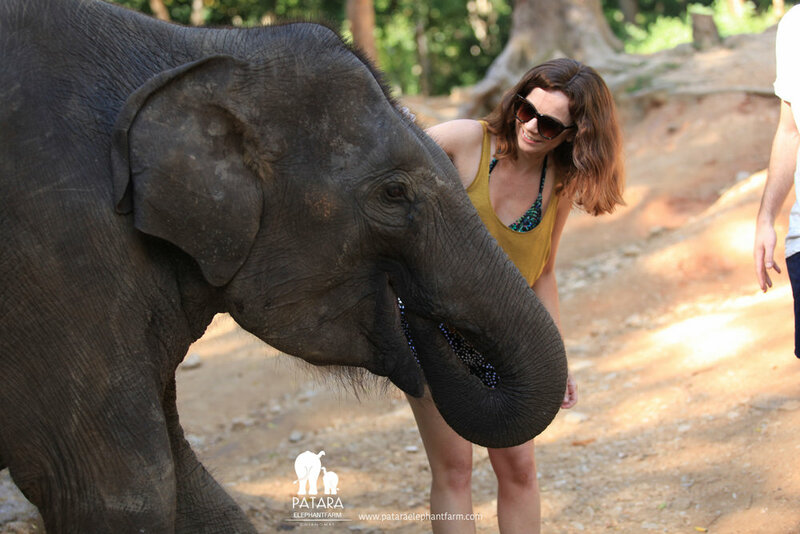 We were picked up and taken out to Patara Elephant Farm, an ethical sanctuary that rescues elephants from logging, circuses, and brutal training they’re often subjected to for tourist entertainment. This farm was recommended by my cousin and the reviews were so good we had to go! It was a bit more expensive than the others but it’s so important to us we support an ethical company. Plus, mum and dad gave us some money to do something fun and this fit the bill perfectly. Thanks M&D! We spent the day feeding, cleaning and bathing them in the waterfalls which was such an experience. Each elephant had its own trainer and although they didn’t speak English you could see by their body language how much of a bond they had. Such a magical day. Would totally recommend this to anybody! We ended the day back in the Old Town at a cute restaurant. We sat on the floor with cushions, the traditional Thai way to dine — which was a well welcomed stretch to the hips actually after all our travelling. Definitely keen to find some yoga classes whilst away! Early start to go see the elephants – we like the elephants. A long drive along up the windy road hilltop road was more than worth it to be welcomed by 1, then 2, then 5 then 10 more elephants - amazing! Then feeding and cleaning and playing. Back in town we had an afternoon drink and pizza, slept and then went for a couple of drinks. In moving tables at the bar, we confused the bar girl into giving us half price gin before trying Khao Soi (on the monk’s recommendation) with prawn and spring rolls - delicious! Gav says this was a GREAT DAY!